This is a great lesson from Blick Art Materials called “Mini Monets”. The instructor in the pastel drawing video below, teaches us how to create mini impressionist paintings using a material that you normally would not use with fine art work. This technique involves pastels, shrink wrap and baking. I told you it was unconventional, but the results are very interesting. The artist begins with a reference image. Using masking tape, she secures the shrink wrap over the reference image. Using her pastels, she then draws over the reference image onto the shrink wrap using an optical blending technique. She then bakes the shrink wrap, which will then obviously shrink the image to create the desired effect that you can learn more about by watching the video below. 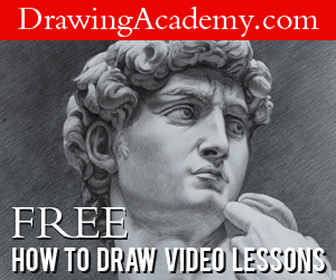 Thanks to Blick Art Materials for sharing this video lesson. View more of their videos over at their YouTube Channel Here.